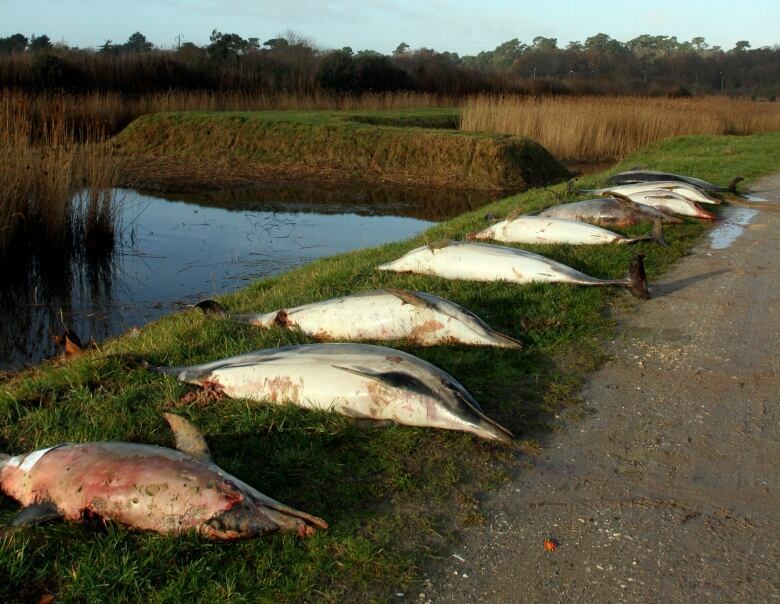 French marine researchers say an unusually high number of dead dolphins have washed up on France’s Atlantic coast beaches since January. 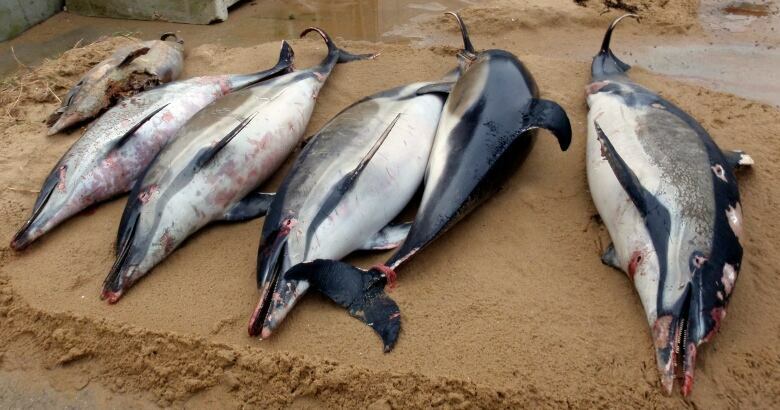 The dolphins’ bodies were horribly mutilated, with their fins cut off. But what shocked French marine researchers wasn’t just the brutality of the deaths of the highly intelligent mammals, they said, but the numbers involved — a record 1,100. It claims many of the trawlers they watch in the region don’t activate the repellent devices, fearing they will scare off valuable fish as well, and only turn them on if they are being checked by fishing monitors. “The spotlight has been put on the trawlers that fish for sea bass … which is a scandal. But they were not the only ones responsible,” she said. 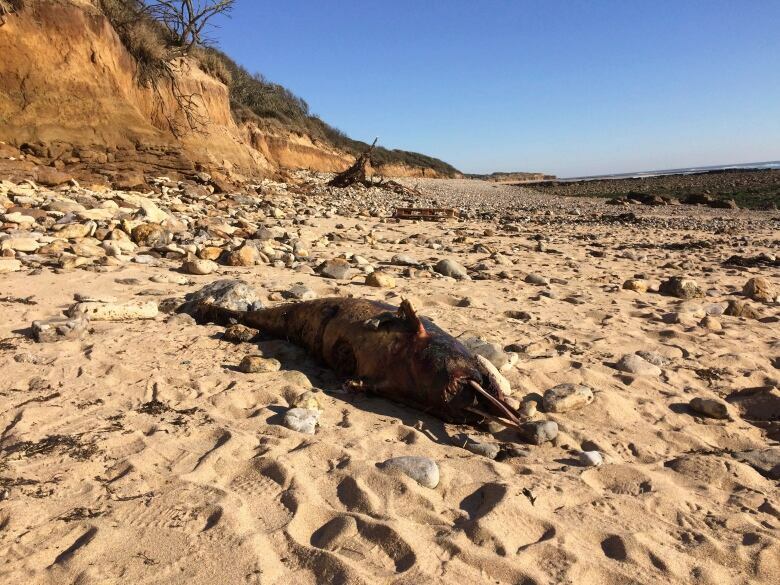 “Right now, the sea bass that is being caught by the trawlers that kill dolphins you can find on the French market for 8 euros per kilogram ($12 per kilogram),” she said.